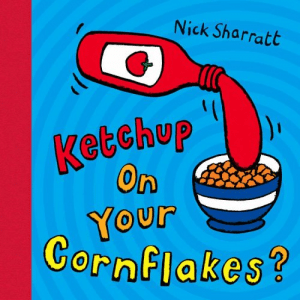 Ketchup on your Cornflakes is a creative book that allows children to create their own silly combinations. Each page is divided in half so there are many, many possibilities. Do you like ice in your lemonade? Do you like ice on your toast? Do you like Ketchup On Your Cornflakes ?